Throughout human history, women have played a significant role in health care. As healers, herbalists, midwives, physicians, spiritual leaders and many other roles, women participated in the medical care of their communities. Our earliest recorded history describes the struggles women faced to become doctors in the ancient world. Ancient Egypt benefited from gender parity it medicine for centuries before other cultures - Merit-Ptah was the royal court's chief physician in around 2700 BCE, and a medical school centuries earlier was run by a woman. This stands in stark contrast to Ancient Greece, where a woman practicing medicine would face the death penalty into the 1st Century. Even if there was no gender parity in medicine practice or training, women still played significant roles in healthcare. 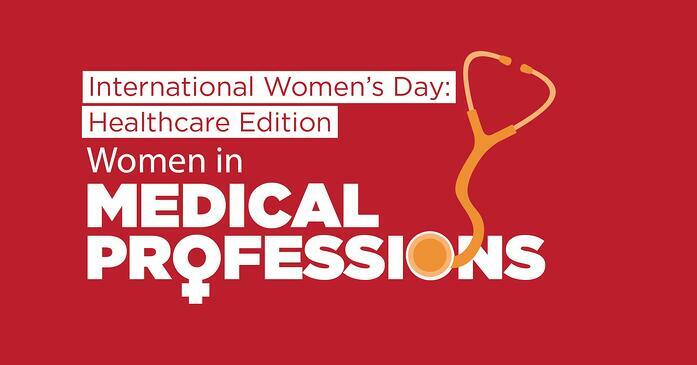 Over the past few centuries, female participation in medicine has made major progress, with women becoming trained doctors, nurses, and researchers in every field and almost every corner of the Earth. This participation has not always been equal, however, and there is still work to be done today. In the United States, women were not admitted into medical schools until 1849, when Elizabeth Blackwell became the first woman accepted into an American medical school. By the end of the 1800s, there were 19 women's medical colleges (coeducation would become accepted much later), but those women who did graduate faced discrimination and difficulty finding positions. This struggle continued well into the 20th century, when major breakthroughs were made in the 1960s and 70s. With the passage of Title IX of the Higher Education Act, schools could no longer discriminate on the basis of gender, and the percentage of female medical students grew from 5.5% to 22.4%. Today's statistics demonstrate great progress in the area of gender parity in medical training. Almost 50% of medical students are female, with 46% of doctors-in-training being women. Unfortunately, less than 1/3 of medical faculty are female, a trend that is seen throughout the scientific fields. Parity in health professions is also improving. In the early 1900s, women made up only 5% of American physicians. Today, approximately 1/3 of all doctors are women, and female doctors make up over 60% of pediatricians and 51% of OB/GYNs. These trends appear to continue in medical school residents, with women making up the great majority of those studying family medicine, pediatrics, and obstetrics/gynecology. In the allied health professions, such as nursing, women dominate every field, with ratios as high as 9:1. Despite improvements in access to medical training and professions, there is still work needed in achieving pay equality. The pay gaps in these fields are startling. 1 in 3 doctors are women, but they make only 69¢ to every dollar earned by their male colleagues, even adjusting for factors such as age, experience, and specialty. Despite women's dominance in the nursing field, a female nurse will earn 91¢ to her male nurse colleagues' dollar. 84% of home-care nurses, including psychiatric health aides, are women - who make 76¢ to their male colleagues' $1. What can we do to continue the progress towards gender parity in healthcare professions? Awareness of disparity is an important first step. Supporting women who speak up for a voice, for change, and for equality is also important. Helping future generations see women as an integral part of our health care is critical - not only for little girls to see role models, but also for little boys to see women in these important roles as well. There is much to be done, but a shared vision and collaboration will get us there, together. If you want to know who is working towards gender parity and learn about how you can take part, check out these national and international organizations. Today is a great day to start making a difference!